Welcome to the Trout Lake Run. This run is put on by the students and staff at Trout Lake School. It has become an event enjoyed by the entire community--and beyond. The course is relatively flat with stunning views of Mt. Adams and the valley's farmlands. 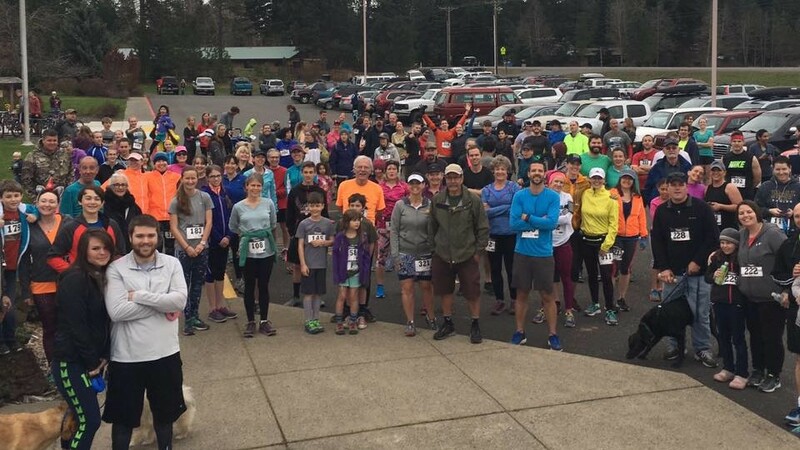 The 5K and 10Ks are perfect for families and their dogs; while the half-marathon (which circumnavigates the valley) makes an excellent early spring run. embark on adventurous service-learning experiences beyond the shadow of the mountain. In the past years, students have been able stretch their wings and travel beyond the boundaries of their comfort zone, learn, and serve in the Navajo Nation of Arizona, the delicate ecosystem of Catalina Island, and desert highlands of Eastern Oregon. 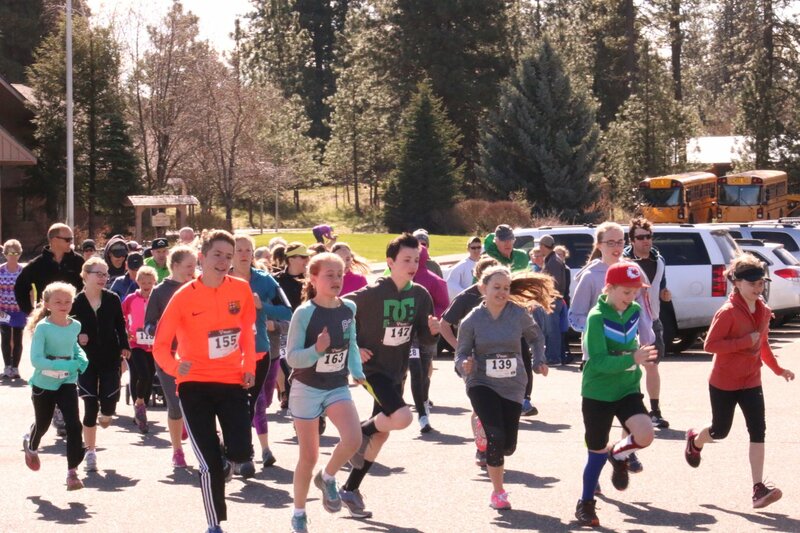 Run, get fit, and support us--the students of Trout Lake. We're promoting fitness in our school, community and beyond. We have three flat and fabulous running routes around the Trout Lake Valley. Trout Lake Run- a great training race! 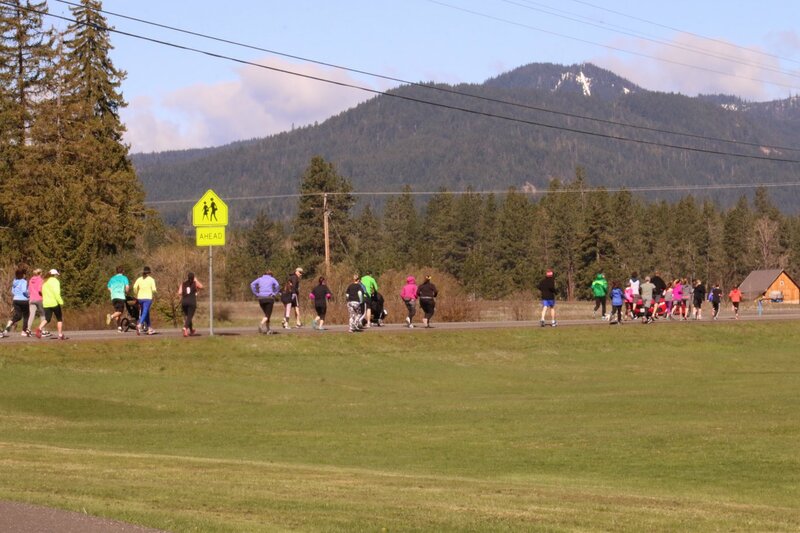 Consider the Trout Lake Run as a training run for one of the many upcoming spring marathons! Need running shoes, a watch, or free music to listen to while you run?